I have heard lots of good things about WordPress 3.2, and this is the reason I am now upgrading to that version. I don’t usually update after the new version is released. I usually wait for comments and problems of the release. I am loving the feature of writing the post without any obstruction. When making new post in 3.2, and a user opt to have it in full screen, all other part of the dashboard will be hidden. I can say that it is really a very good feature. I am actually doing this post thru the new blog set up. Word count can also be seen automatically at the lower part of the Dashboard. As if I am writing through my Windows Live Writer, So if you see any un usual thing in this blog, please let me know. SEO wise I don’t know if this is better or not. 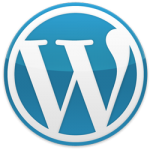 Any experience with WordPress 3.2 ?